from Cameroon, hired as a chauffeur in the fall of 2007, right before one of the biggest financial crisis in history, and his lavishly wealthy employer, a top Lehman Brothers executive, and how their families become inextricably linked. Watch Oprah making the announcement on CBS This Morning: “Fifteen years ago, I walked into a public library and borrowed my first Oprah’s Book Club selection–Toni Morrison’s Song of Solomon – and was so inspired by it that I began writing without thinking much of where my writing would lead me, never quite imagining that it would someday lead to this humbling privilege,” said Ms. Mbue. 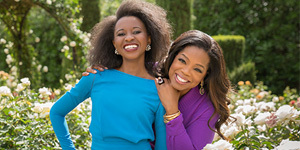 The cross-platform book club selection kicks off with Oprah’s interview with Imbolo Mbue in the August issue of O, The Oprah Magazine (on newsstands July 11). Oprah.com will feature video clips from Oprah’s interview with Imbolo. Imbolo Mbue is a native of the seaside town of Limbe, Cameroon. She holds a BS from Rutgers University and an MA from Columbia University. A resident of the United States for more than a decade, she lives in New York City. BEHOLD THE DREAMERS, her critically acclaimed debut novel, won the 2017 PEN/Faulkner Award for Fiction and was named by The New York Times and The Washington Post as one of their Notable Books of 2016.